Giveaway Closed: Winners are Joni, Susan and Kim! If you have a loved one or you know of a familia that is dealing with an addiction of some sort, I would like for you to take a look at this amazing, out-of-the-box, support system for those battling an addiction. SoBear, is raising awareness about the value of supporting those who are in alcohol and drug recovery programs. 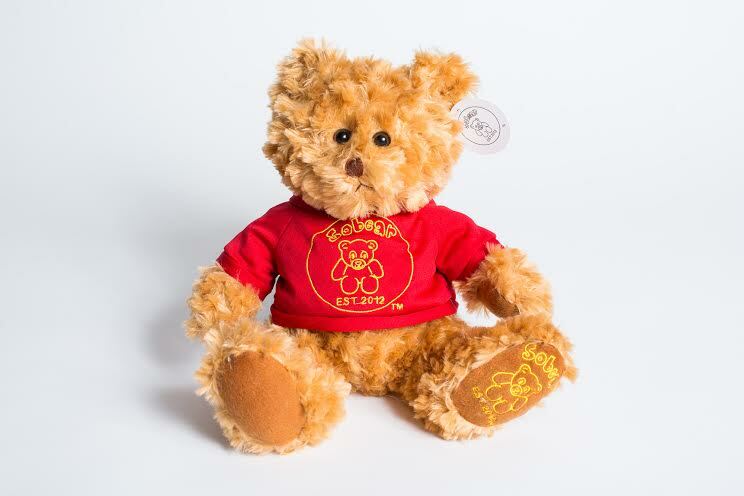 With these bears, you can let people in recovery know that they are loved, wanted and needed. A portion of SoBear’s proceeds are donated to various alcohol and drug recovery programs, as well as supporting the progression of substance abuse research. There are several color variety for you to choose from and each comes with a little pocket in the back, that can hold special notes or photographs. Anthony Boisselle (Founder and Managing Director) has stood alongside loved ones as they battled addiction and has been steadfast in their recovery. Wrestling with the best way to support these loved ones, Anthony sought to find a way that conveyed not only his love, but also his support for those in recovery and thus, the creation of SoBear. If you know of someone who is struggling or recovering from any addiction, we have a special giveaway, just for you. 3 of you have the chance to win one SoBear. Aren’t they sweet? Image courtesy of Mike Rosenthal. All Rights Reserved. What are the different SoBear colors? Take a look here! This Giveaway ends Friday, March 10, 2014 at 12 noon. Void where prohibited. (3) winners will be selected using Random (dot) org and notified through email. U.S. residents only. Must be 18 years or older to participate. By entering the giveaway, you give me permission to send your info (if you should win) to the sponsoring company, who will ship the prize to you. Sorry, no refunds or exchanges. Winner has 2 days to respond before I select another winner. Entries/Comments that do not follow the submission guidelines will not be counted. No purchase necessary. They have purple, blue, pink, green and red. the different colors they have are purple, red, green, blue and pink!